Fast & Easy application process with no application fees! What type of processing do you need? By clicking "Get My Free Quote » " above, I consent to receive from Pura Payments and any party on Pura Payment's behalf telemarketing calls using an autodialer or pre-recordings and SMS text messages at any time, which could result in wireless charges, at the number provided above. I understand that consent is not a condition of purchase. Learn More & Get a FREE Quote! *Free terminal only applies for approved Pura Payments merchant account and requires a 1 year contract. If you cancel your agreement before the 1 year term has been completed a cancellation fee will apply. Does not include cost of shipping. © 2019 Pura Payments. All rights reserved. Pura Payments LLC, is a registered ISO of Compass Bank an Alabama State Chartered Bank. The Clover® name and logo are trademarks owned by Clover Network, Inc., a wholly owned subsidiary of First Data Corporation, and registered or used in the U.S. and many foreign countries. 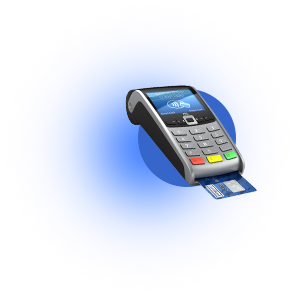 EMV is a registered trademark in the U.S. and other countries, and an unregistered trademark elsewhere. EMV® is a registered trademark owned by EMVCo LLC. Apple Pay is a trademark of Apple Inc., registered in the U.S. and other countries.